Microsoft introduces an exciting extension to office 365. It is Microsoft Flow: a cloud-based service that allows you to create automated workflows across your favorite applications and platforms. Microsoft Flow enables you to work smarter by building automated workflows across your apps and services.It automates approvals, data syncing between systems, push notifications and much more. 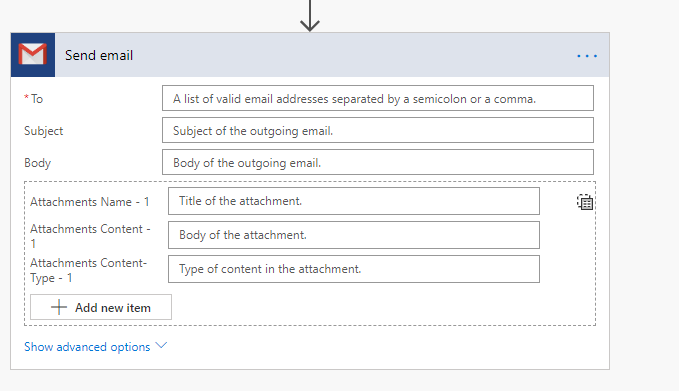 By using Dynamics 365 Connector, you can connect to a Flow that starts when an event occurs in Dynamics 365. It then performs action in Dynamics 365, just like the out-of-the-box Dynamics 365 workflow feature. For example: getting mobile push notifications whenever a case is assigned to you in Dynamics 365. Connectors are the main part of Microsoft Flow. Well…here is the explanation. Connectors enable you to connect to apps, data and devices in the cloud. 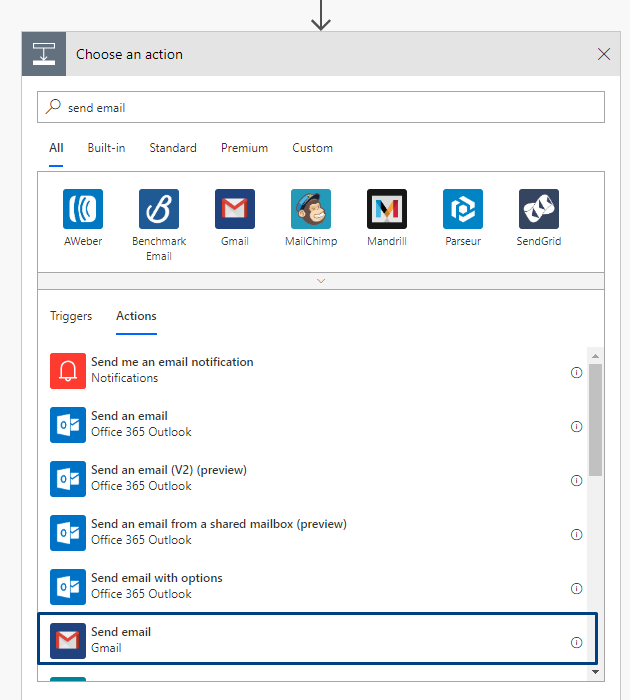 Examples of popular connectors include Dynamics 365, Salesforce, Office 365, Twitter, Dropbox, Google services etc. The connectors act as an API proxy and allow the underlying service to talk to Microsoft Flow. They provide a way for the user to use a set of in-built actions and triggers to build workflows and apps. Even we can develop our own connectors. Each connector offers a set of triggers and actions as the following. 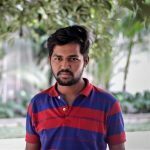 There is a series of existing connectors that provide triggers to notify your app when a specific event occurs. 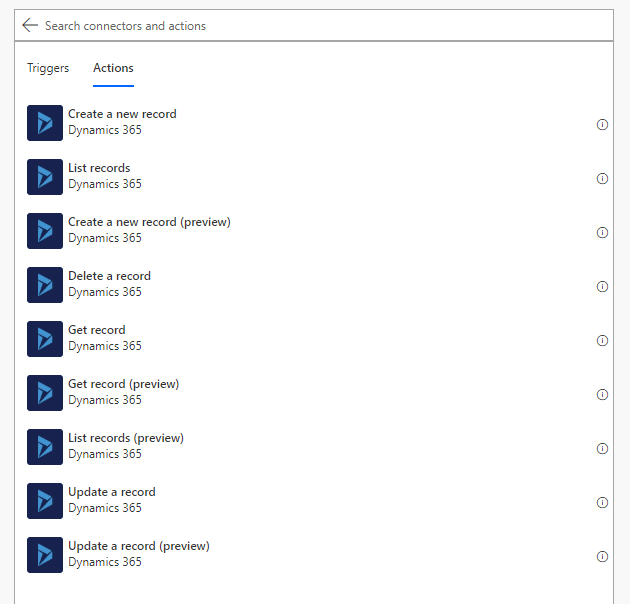 If you choose Dynamics 365 connector, it will show the following triggering points. Actions are changes directed by a user. 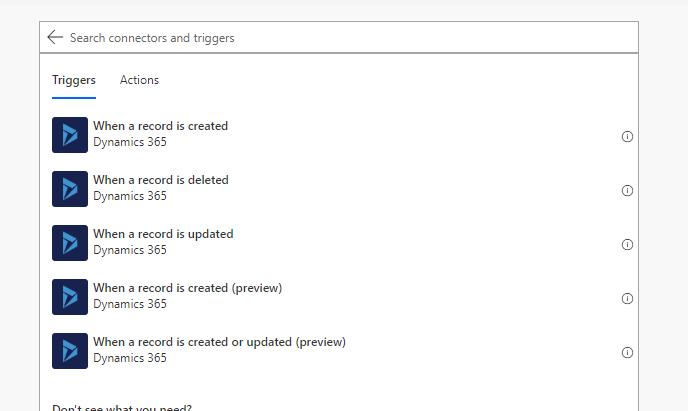 For example: creating a record or updating a record in Dynamics 365.These are all the actions available for Dynamics 365. We can create a Flow that performs one or more tasks automatically after it’s triggered by an event. A general example is creating a Flow that notifies you by mail when someone sends a tweet with some hashtag. In this example twitter is the trigger and sending mail is the action. For doing this you need an account on flow.microsoft.com, a twitter account and mail credentials. In flow.microsoft.com, Click on My flows in the Left navigation bar, and then select Create from blank in Top navigation bar. Please note that there are many pre-built templates available in Flow, so feel free to make use of the one that fits your needs. 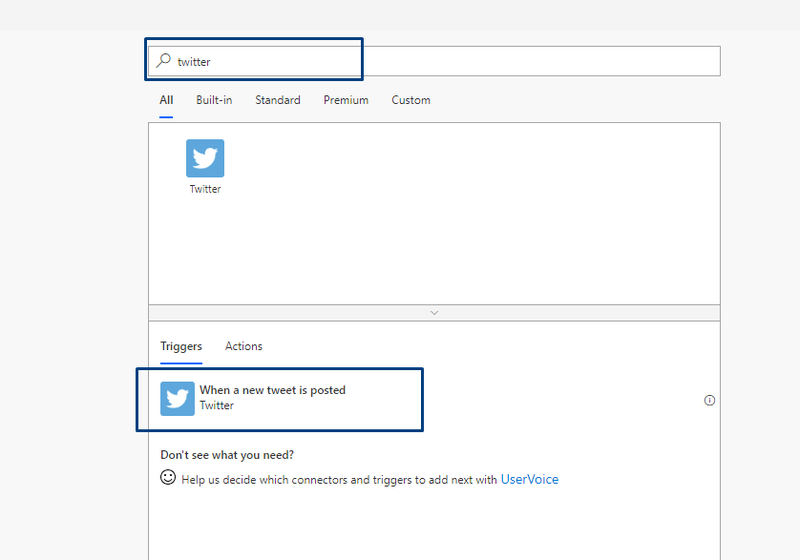 Enter the Twitter Keyword (#Dynamics365) in the Box that says Search Connectors and Triggers. Then select Trigger when a new post is tweeted. If you haven’t already connected your Twitter account to Microsoft Flow, select Sign in to Twitter, and then provide your credentials. After that, search the keyword in the search box that you want to find. Click the New Step button for specifying an action. Enter the keyword (send email) in the box that says Search connectors and Actions. Then Click on Send email. If you haven’t already connected your Gmail account to Flow. It will ask for sign and continue. It will show the following screen. You need to enter mail id and can choose user tokens like name and description for Subject, Body fields.Then Save it. Top of the screen, name your flow and then save it. Flow is ready. 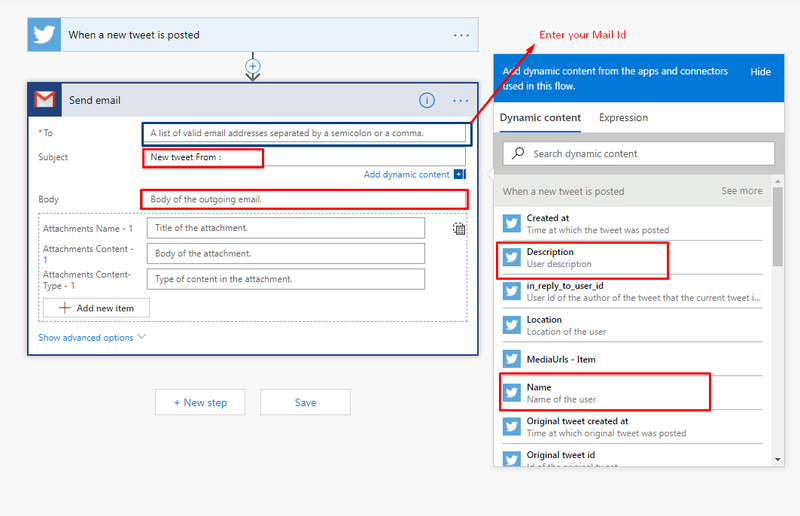 Now you can just post a tweet with #Dynamics365 keyword you will get the mail. Microsoft Flow is an excellent cloud-based service that turns repetitive tasks into multi-step workflows. There is no doubt that its unprecedented ability to automate will fetch you great business results. Gampi is an accomplished Dynamics CRM Developer. He is good at doing customization and configuration with Dynamics CRM backed by three years of experience with the technology. He is passionate to work with Microsoft Technologies.